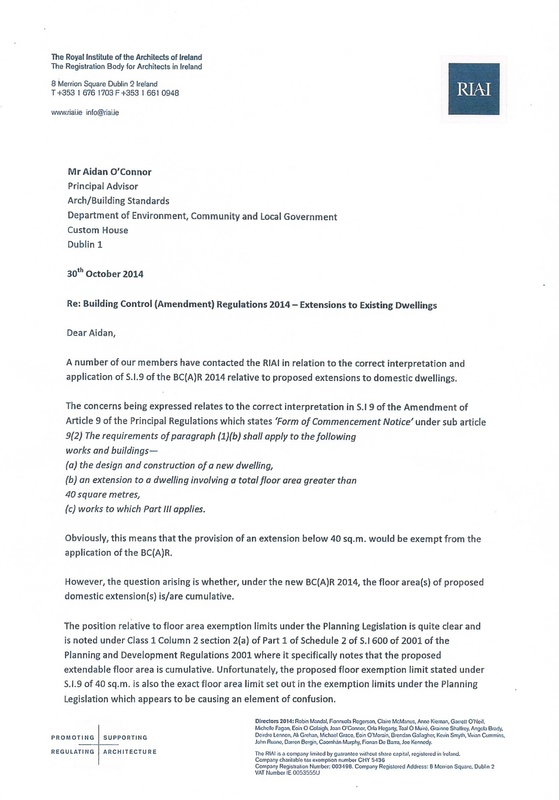 On 7th November 2014, the representative body for architects (RIAI) emailed practice members the following letter from CEO John Graby requesting clarification on the 40 Sqm exemption under BC(A)R SI.9. 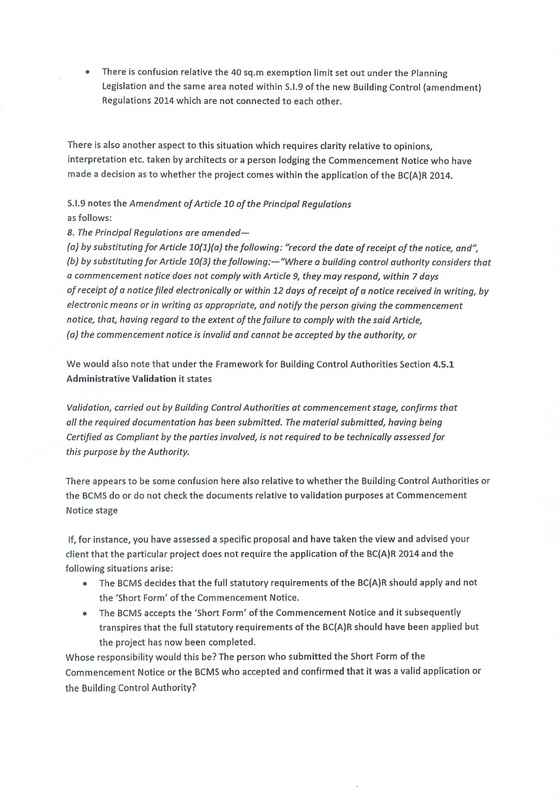 The RIAI had previously published, initially without comment, the BCMS advice of the 24th October to the effect that the 40Sqm SI.9 exemption limit is cumulative (see post here). Following requests from members who cannot see how this can be case, the RIAI are now seeking clarification from the DECLG of this previous advice issued. 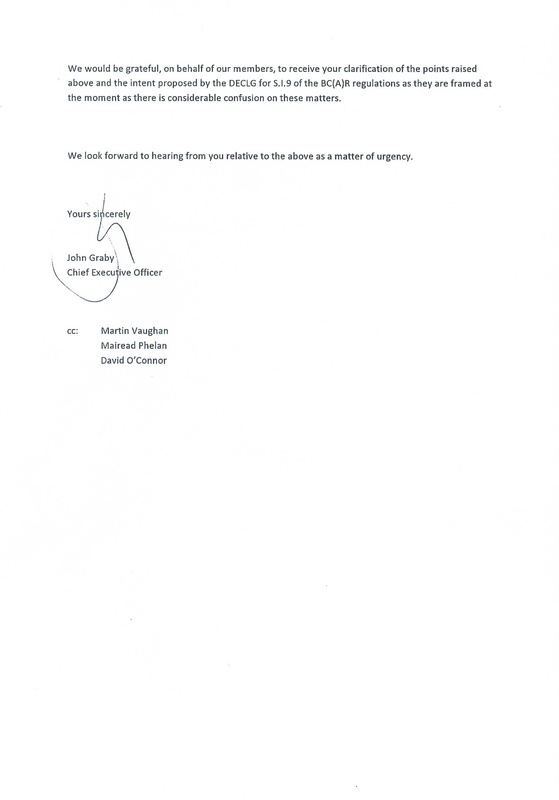 We are not aware of any legal advice on the issue or other stakeholder interpretations at time of writing. This might seem like a technicality but it’s of major concern to the majority of architects who are in small practice doing domestic work. 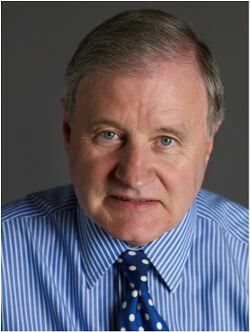 It means that, eight months into the new regulations, many will have advised clients incorrectly and could find themselves with illegal extensions can can’t be remedied. 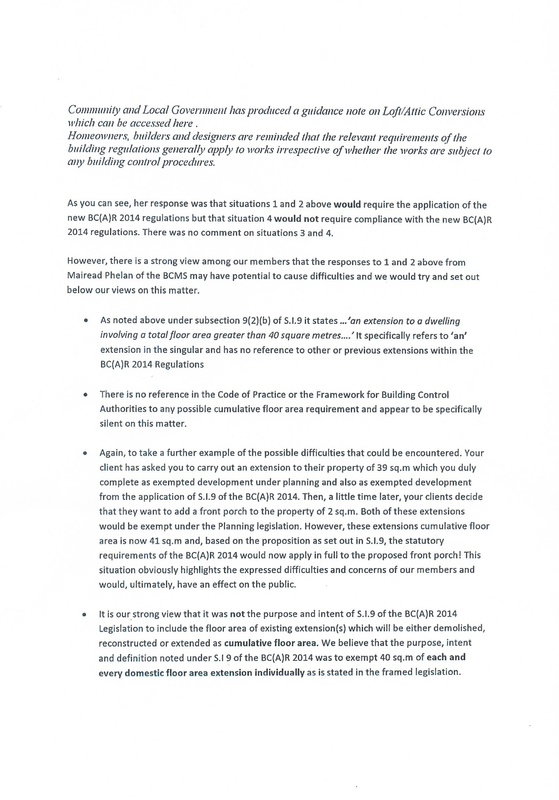 The RIAI has written to Mr. Aidan O’Connor, Principal Advisor, Arch/Building Standards, at the Department of Environment, Community and Local Government, seeking clarification, regarding the advice note from the Building Control Management System on their interpretation of the application of S.I. 9 in respect of extension to existing dwellings, where an existing extension is to be demolished, and reconstructed, together with an extension not greater than 40 sq. metres. 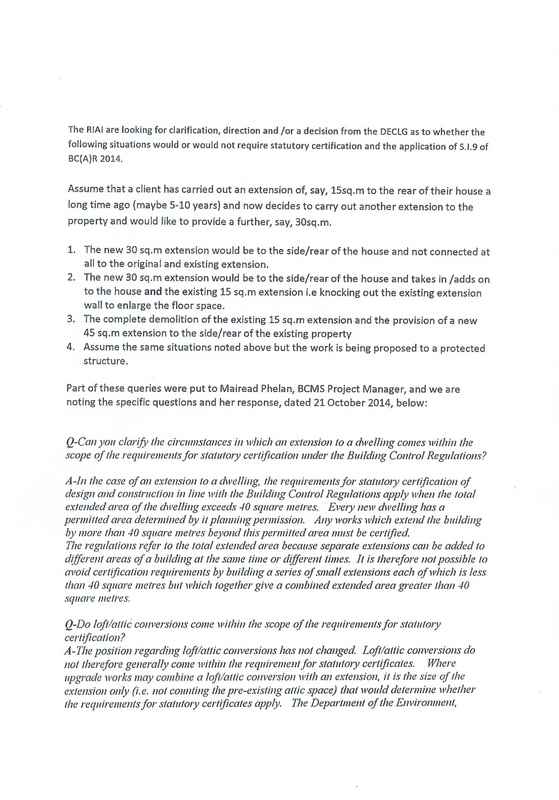 The RIAI dispute the interpretation by BCMS that the two floor areas, existing and proposed, are cumulative, and if greater than 40 sq. metres, when constructed would become within S. I. 9.